What a simple, awesome, yet terrifying & difficult word. We have such a hard time with trust. We know how to be cynical, and skeptical, but trust is so much harder. Because while past experience can help you to trust, trust really is something that describes an unknown. I can trust that someone will pick me up at the time they said they will, and they may have in the past, but I don’t really know that they will, I have to believe and hope that they will. This is why trust issues can be the hardest thing to deal with. 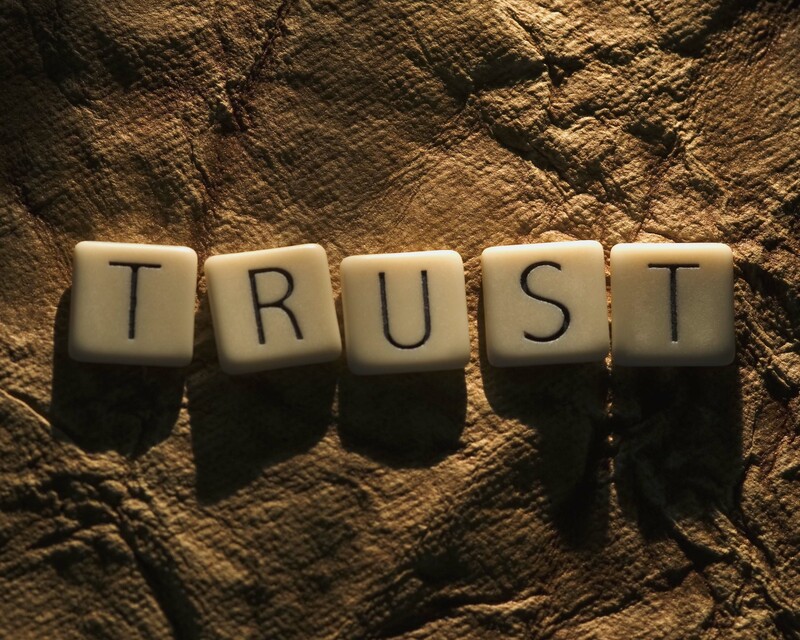 Why broken trust is so hard to restore. I wish I had a nice little package to end it with. Something to tie it all together. Something to help those out there struggling with trust be able to start trusting. But I don’t have anything. Trust just takes a leap of faith. Its not logical, it can’t really be analyzed. It simply is a choice.